Excellent product, good price , quick delivery, courteous service. My goto board perfect for any number of project. Does what it says on the website/forum/hackspace and everywhere else! If you've already used an arduino you won't need to read a review, if you haven't then buy one from proto-pic (great price and swift delivery) and get started.Simple to learn, extremely versatile and well supported on and offline. Arduinos are always smaller than I think they are and are great value, especially when you conside the large amount of documentation and help around the web. I am a beginner with AVRs however I found this one very easy to use. It has really enhanced my project i am working on.Also it was delivered very quickly and satisfactorily.Very pleased all round. 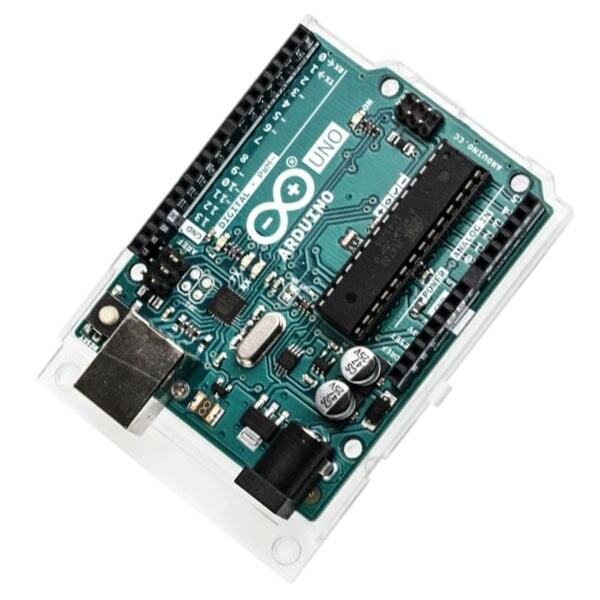 Arduino Uno is a useful board at a great price, product build is excellent and easy to get operational, just add power supply and USB cable to start working with the Arduino IDE.Delivery and communications from Proto-Pic were excellent. A new version, same great product. It's been said below but the addition of the printed pin headers is really great and saves you fiddling with the torch in tighter spaces.I've been using these for a while and the UNO is a great product, it looks professional, and works like it too. I've been using Arduino's for years, and the latest addition of the markings on the pin-headers themselves is just an extra bonus. The Uno has always been a flexible and reliable piece of kit for me and has been part of many of my projects.